Whether you’re a visitor to Western Massachusetts or call this part of New England home, spending the holidays at any of these festival attractions will delight the whole family. New England is a travel beacon largely due to its roots in the early days of American history. The town of Deerfield is just such a locale – an 18th century village that has been well-preserved since becoming a historic site and museum. 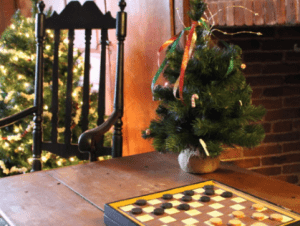 December in Deerfield is filled with various holiday activities, all of which strive to maintain colonial period accuracy. You can make handmade gifts for loved ones, join the Open-Hearth Cooking Demonstration and bake your own sugar cookies, or use a colonial chocolate recipe to make hot cocoa mix. Be sure to take a horse-drawn buggy tour through town and really get a feel for what life might have been like for the early New England settlers. 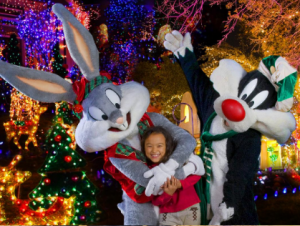 If the thrill of a more modern-day excitement is your idea of holiday fun, Six Flags New England is the place to be. With over 50 rides, an endless display of lights, and Christmas carolers parading about, this amusement park knows how to do the holidays right. Don’t miss out on Santa’s workshop where kids can go meet and take photos with the jolly man himself. And, later, take part in the newest family tradition – the Tree Lighting Spectacular. Santa can be seen lighting up the tree on Kringle Lane, providing the perfect backdrop for all those family holiday photos. 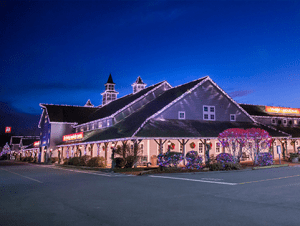 Fill your home with the sweetest of holiday scents with a trip to the Yankee Candle Village store, located in South Deerfield. Whether it’s the smell of baked holiday treats or frosted pines on a cool winter morn that puts you in the festive spirit, Yankee Candle has it all. It’s a perfect place to find gifts for everyone on your shopping list with a variety of holiday gift packs to choose from. 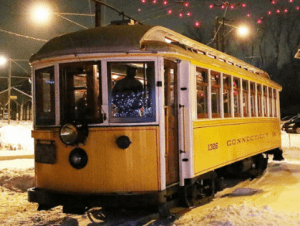 Offering an evening of holiday delights, the Connecticut Trolley Museum allows you to step back in time and travel the city in an old-fashioned trolley car. Enjoy this ride through the city streets while singing Christmas carols along with your motormen as you approach the festive Tunnel of Lights. Afterwards, journey into the Winter Wonderland-themed Visitor’s Center. Sip on a cup of hot cocoa while perusing the model train displays and awaiting your visit with Santa before he returns to the North Pole. 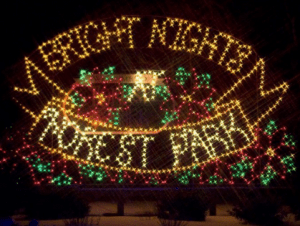 Featured as one of People.com’s “Top Ten Holiday Happenings in America,” Bright Nights is a drive-through exhibition that sets up in the massive Forest Park of Springfield, MA and is known as the premier holiday light display in the region. With light exhibits representing every winter holiday, it is truly a festive experience. If you need to stretch your legs, make a pit stop at Santa’s Magical Forest and ride the Santa Train and carousel. Shop for souvenirs, grab a snack, and make sure to swing by Santa’s Cottage for a photo with Santa himself. Celebrate the holiday season by engaging in the arts! 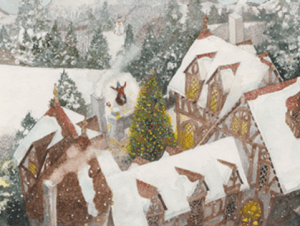 The Stockbridge at Christmas Family Events honor Rockwell’s holiday illustrations of the town of Stockbridge as well as provide opportunities for attendees to make their own seasonal art. Stockbridge’s St. Paul’s Church will hold Santa’s Workshop, a fun gathering where participants can decorate their own holiday ornaments, stockings, and other décor. Come listen in as illustrators of popular children’s holiday books speak about their craft and inspirations.